Fuel up your phone while your drive. The Roav Viva is less then $20 todayRemove non-product link, and brings hands-free voice control to your ride via built-in Alexa. You'll be able to use your voice to make calls, play music, ask for directions, control your connected smart devices, and more. 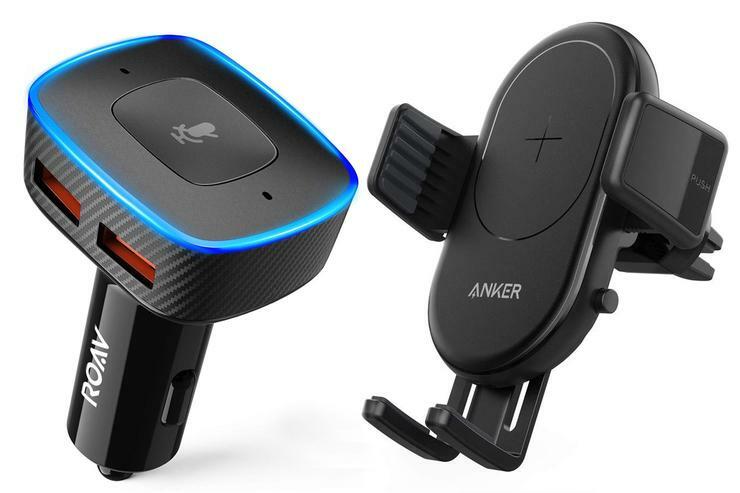 It also has two USB ports to charge up your devices while you drive and comes with a magnetic vent mount to keep your phone propped securely. Next up is the PowerWave fast wireless car charger, on sale for 35 percent off at just $30Remove non-product link. With an air vent holder meant to keep your phone in a convenient place, as well as 360-degree rotation, this wireless charger is Qi-certified and boasts universal compatibility to boot. iPhones can charge up to 7.5W, while Samsung phones can get up to 10W. But keep in mind you'll need to get a separate USB car charger to power it up (like this oneRemove non-product link, for instance, which is powerful enough to enable fast charging). And finally, if you need a USB-C to USB 3.0 cable to go with your new accessories, a two-pack of Anker's highly rated 6-foot Powerline+ cables is just $14Remove non-product link. This cable is designed to last, claiming to last 5x longer than other cables. You can also get data transfer speeds up to 5Gbps.